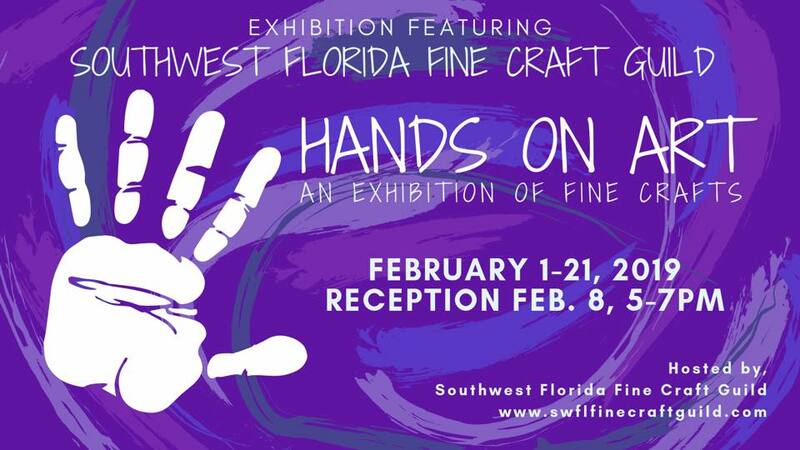 Hands on Art is an exhibition that showcases unique art pieces created by members of the Southwest Florida Fine Craft Guild. These pieces represent unique made-by-hand art. Some pieces are thoughtfully created individually, while others may be by collaboration of two or more creative artists. The results are unique art objects created by creative minds and hands.